You may already know that you’ve been experiencing hearing loss for some time but just don’t want to admit it or can’t afford to do anything about it. Unfortunately, many people are left trying to be an active part of their environment while suffering through conversations that they can’t really understand, and noisy atmospheres that leave them overwhelmed, or they are too embarrassed to wear hearing aids and acknowledge their hearing problem. However, because of our world’s constant progression in technology, there have been other hearing devices put on the market that might suffice for your situation if it isn’t too extreme. Even with the use of these other products, it is recommended that you be evaluated by a hearing specialist to determine your specific listening difficulties and get advice on what may work for you before going out and spending money. Personal sound amplifiers are not intended to fully replace the use of hearing aids and can’t be expected to provide all of the benefits that the more expensive instruments do, but they can offer a cost-effective alternative to those with mild hearing loss who are looking to have just a little more amplified sound in their lives. Worn like a hearing aid but with a more discreet appearance, these devices help to lessen interfering noises and allow you to be more attentive to the conversation you’d like to be a part of. TV listening systems are designed to give the hearing impaired a more enjoyable experience when watching television or listening to the radio by reducing background sounds. The idea is to help them keep the TV or stereo audio at a more reasonable volume, permitting them to still hear with quality, but not while disturbing other people in the household at the same time. There are a few different types of listening systems and hearing devices to choose from that fall into this category that use technology such as Bluetooth, infrared and headsets. This makes family movie night just a bit more comfortable for everyone involved. It can be extremely frustrating trying to have a phone conversation with someone that sounds muffled or unclear or to miss a phone call altogether because you couldn’t hear the phone ring. Fortunately, amplified phones have been accommodating to those with hearing loss as they can feature magnified ringtones, viewable notifications or vibrating signals when a call is incoming and have the ability to increase the headset volume while modifying disturbing environmental noises. Visual alerts allow those with difficulty hearing to maintain normal activities, like answering a ringing doorbell, and provide a sense of security in their home when there is concern about not being able to hear intruders. Wireless doorbell signalers, flashing lights and sonic alerts are some examples of visual systems that can notify a person of all the sounds throughout their residence. 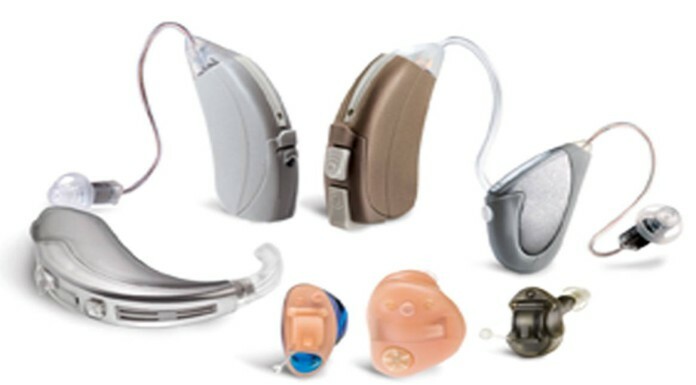 As mentioned before, these alternative hearing devices won’t take the place of hearing aids, but sometimes it can be a good place to start or a way to enhance your use of hearing aids by utilizing them in conjunction with one another.